Regularly assemble documents usy with high sheet-counts? Heavy duty staplers are the ideal solution for busy offices. There are three important factors to consider before you buy. How many people will use the stapler? How often do you staple documents? How many sheets do you usually have to staple together? Heavy emphasis must be placed on "sheet capacity" when shopping for a heavy-duty stapler. "Sheet capacity" refers to how many pages a stapler can staple at one time. 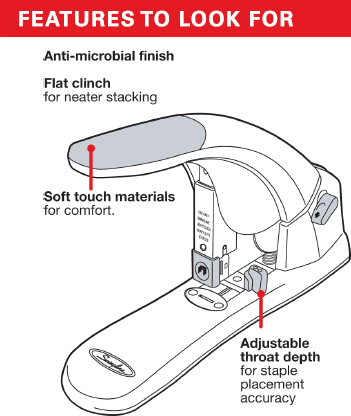 Heavy-Duty Staplers for individuals, copy rooms and shared areas. Small Heavy Duty Staplers fit comfortably on your desk and can still accommodate a high number of pages. High Capacity Heavy-Duty Staplers can handle more than 230 sheets at a time. 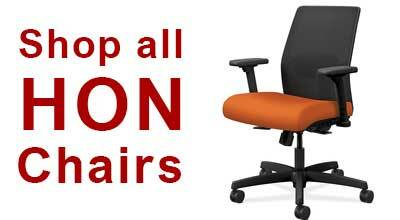 They often use different sized staples at different sheet counts, so make sure you order all the staples you need. Ergonomic Heavy Duty Staplers are designed to be comfortable throughout heavy use. Anti-Jam Heavy Duty Staplers offer jam-free performance or jam clearing mechanisms.